Easy to Install. Simply plug it into any outlet in your home, then add 4 phases. 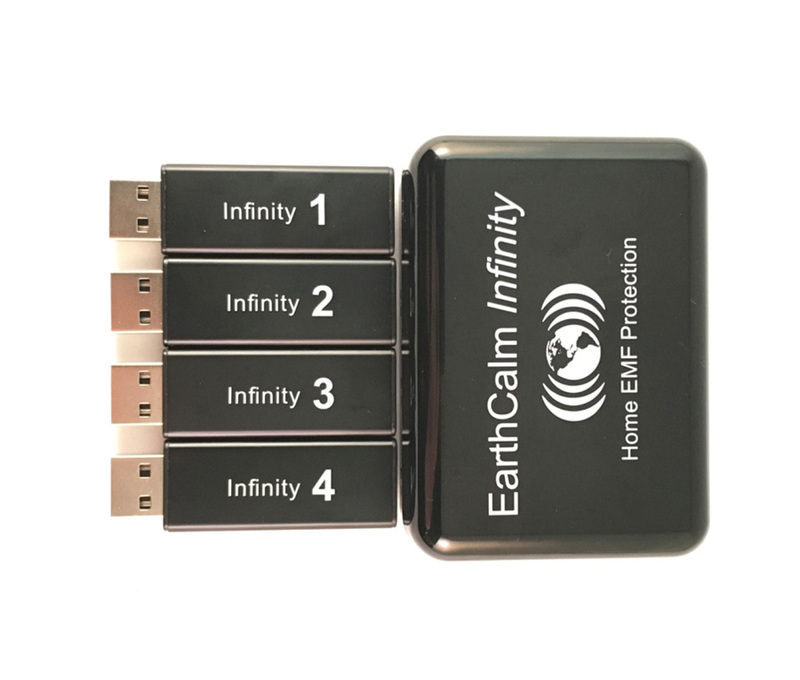 EMF & WiFi protection for the whole family. Indoor pets experience improved health and calm. Protects from your router's EMF & WiFi transmissions. Protection from EMFs & WiFi generated by your home's plugged-in appliances/electronics. 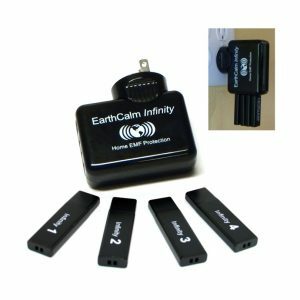 The EarthCalm Infinity Home EMF Protection System comes in a soft nylon & polyurethane leather travel case including socket adapter types A, C, G and I for easy transport and compatibility around the world. 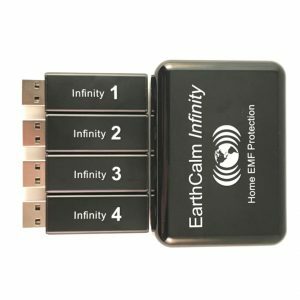 One system protects everyone in your home from EMFs & WiFi generated by all of your home’s plugged-in appliances and electronics, which includes your wireless router and your smart meter. Select one of the 4 adapter options, whichever is specific to your region. Simply plug Phase 1 into the base unit, and then plug the base unit into any outlet in your home. After everyone in your home has adjusted* to Phase 1, wait 3 days. Then, add in Phase 2. Repeat this process on all Phases. 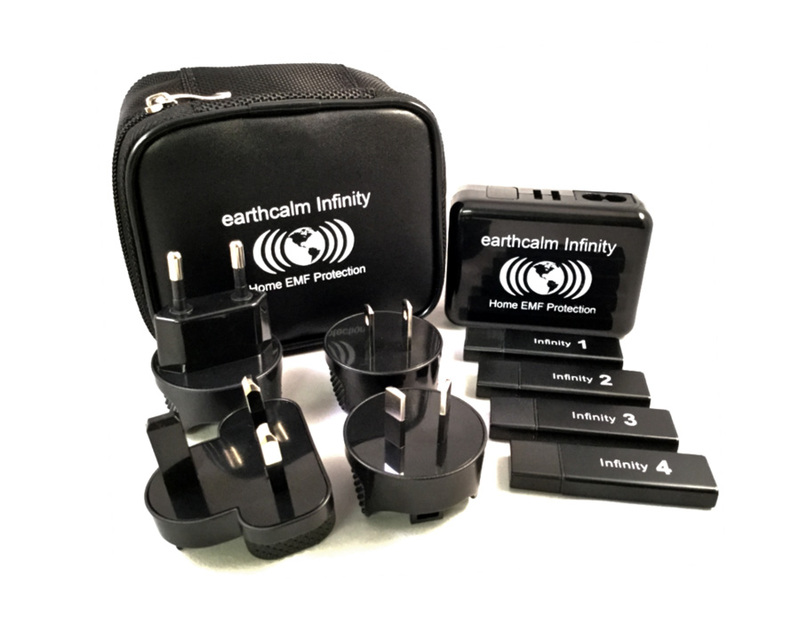 When all 4 Phases are plugged into the base unit, the EarthCalm Infinity Home System is working at full strength. Make sure the unit is plugged directly into a powerpoint in the wall and not via a powerboard or double adaptor as this will reduce the effectiveness of the device. 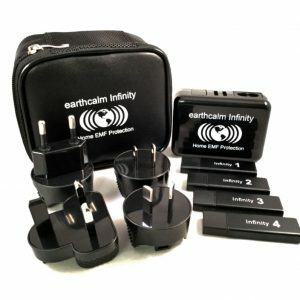 *People who are EMF-sensitive may experience detox symptoms while working through the 4 Phases (i.e., headaches, dizziness, flu-like symptoms, tiredness, etc). These symptoms usually only last a few moments, but can last for hours or days, in the case of extreme EMF sensitivity. In those cases, simply spend more time at each level, and it is okay to remove a level, to drop down to the prior level for a while. Go at your own pace, at your own comfort level. And if you have any questions about your experience, simply contact us at Pure Space. A study was completed on the Infinity Home System, by Glen Rein PhD of Quantum Biology Research. Dr. 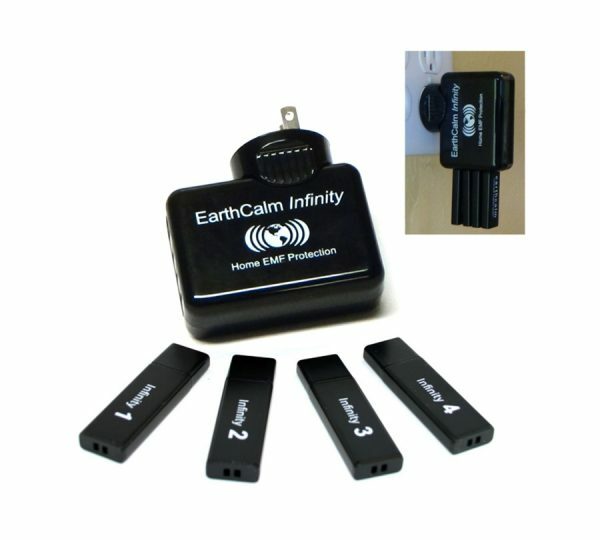 Rein tested the effects of home electricity and microwave radiation (from a smart meter and wireless router) on human DNA, both with and without the EarthCalm Infinity Home System installed. Research results showed that the Infinity Home System completely reversed the harmful effects of radiation on human DNA. Download the full report. Always remember that the best protection is always to reduce your wifi exposure wherever possible.